A persistent noise of unknown origin, sometimes compared to a truck idling or distant thunder, has bedeviled a Canadian city for years, damaging people’s health and quality of life, numerous residents say. Those who hear it have compared it to a fleet of diesel engines idling next to your home or the pulsation of a subwoofer at a concert. Others report it rattling their windows and spooking their pets. Known as the Windsor Hum, this sound in Windsor, Ontario, near Detroit, is unpredictable in its duration, timing and intensity, making it all the more maddening for those affected. 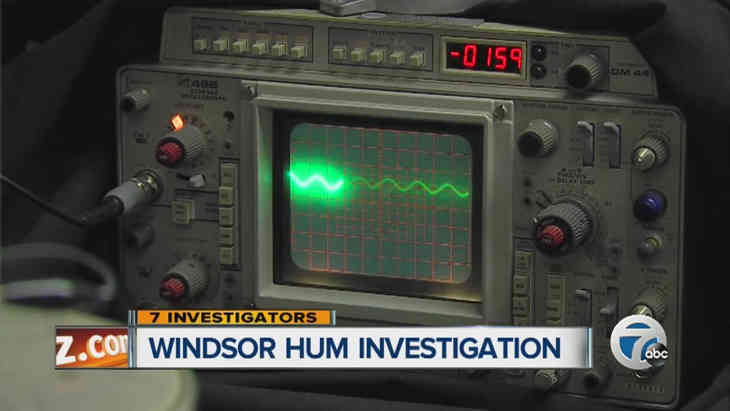 The Windsor Hum mystery in Canada. “You know how you hear of people who have gone out to secluded places to get away from certain sounds or noises and the like?” Sabrina Wiese posted in a private Facebook group dedicated to finding the source of the noise. Since reports of it surfaced in 2011, the hum has been studied by the Canadian government, the University of Western Ontario and the University of Windsor. Activists have done their own sleuthing. Over six years, Mike Provost of Windsor, who helps run the Facebook page, has amassed more than 4,000 pages of daily observations about the duration, intensity and characteristics of the sound and the weather conditions at the time. 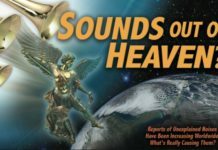 He said he had had to fend off skeptics and theorists who believe that the hum is related to secret tunneling, U.F.O.s or covert government operations. The hum is not limited to Windsor, a city of about 220,000 people on the Detroit River. Mr. Provost said he had received reports from McGregor, Ontario, 20 miles to the south, and from east of Cleveland, about 90 miles away. Tracey Ramsey, a member of the Canadian House of Commons, said in a phone interview that she regularly gets calls from constituents about the health effects of the hum. Residents have complained of headaches, sleeplessness, irritability and depression, among other symptoms. “It’s something they are desperate for an answer to,” she said. Tracing the noise’s origins is complicated by who hears it, and when and where. Tim Carpenter, a retired consulting engineer who specialized in geotechnical engineering and machine vibrations and is an administrator of the Facebook page, said not everyone can hear it. “It’s as if you had a fire hose moving back and forth and the people who have the water falling on them hear the noise, and if you’re outside that stream, you don’t hear the noise,” he said. Dr. Darius Kohan, the director of otology and neurotology at Lenox Hill Hospital and Manhattan Eye, Ear and Throat Hospital, said that the low-frequency hum was unlikely to cause long-term hearing damage but that it could be as debilitating as tinnitus, a persistent ringing in the ears. 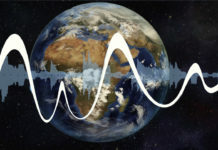 Scott Barton, an assistant professor of music at Worcester Polytechnic Institute in Massachusetts, said in a phone interview that infrasound, which is below 20 hertz, can create a sense of unease because it is unintelligible to human hearing but still detectable. While it is possible to be accustomed to certain noises (the hum of an air-conditioner, for example), this low-frequency noise is challenging because it has been so inconsistent, he said. Seeking intervention by government regulators for the hum is difficult because regulations typically address decibel levels that can lead to hearing loss or damage, not those that can affect quality of life, Rebecca Smith, a sound engineer and doctoral student at the University of Michigan in Ann Arbor, who researches urban noise, wrote in an email. The University of Windsor report said the hum’s likely source was blast furnace operations on Zug Island on the Detroit River, which is densely packed with manufacturing. Activists complained that United States Steel, which operates the furnaces, has been uncooperative and secretive. A company spokeswoman did not respond to requests for comment. A principal investigator on the study, Professor Colin Novak, told CBC News in 2014 that researchers needed more time and cooperation from the American authorities to pinpoint the source. “It’s like chasing a ghost,” he said. Hums similar to Windsor’s have been reported in at least a dozen communities worldwide, including in Australia, England and Scotland, the study said. In the United States, high-profile hums have been reported in Taos, N.M., and Kokomo, Ind. Researchers studied the Taos hum in 1993 but did not pinpoint a source. Karina Armijo, the town’s director of marketing and tourism, said in a telephone interview that complaints had subsided. A 2003 study in Kokomo by the acoustics and vibration consulting company Acentech prompted two industrial plants to install silencing equipment, providing relief to some residents but not all, a 2008 paper about the study said. “In fact, one affected resident had become so disturbed that she moved more than 700 miles away to relieve her symptoms,” it said. “It’s possible that no matter what is done to relieve or attenuate the noise, it might never be enough,” he said. not know it, but the last time they went to the doctor or went to the hospital, your wife or your husband or your daughter or your son became the subject of a medical experiment that they were not even told about. They were given medicine, they were given pills, they were given radiation, [they were given something] and were not even told about this, were not even informed about it, yet they are under some experimental research that might possibly do them harm—maybe some good will come out of it, but maybe it will do them harm also—but they do not know about it,’’ people would laugh at that and say that is ridiculous. That cannot possibly happen in this country. Yet, that very situation is what this piece of legislation is supposed to address….” —- United States Senator John Glenn. 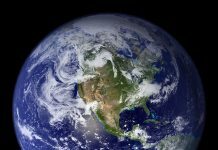 “Congressional Record S645 January 22, 1997”, prior to becoming a Senator he was the first American to circle the Earth in outer space in 1962. Look for scars on the body of the afflicted that are unaccountable, especially behind the ears, where scars may seem to be most prevalent in people complaining about non consent human experimentation. If the officials who run the factory are being “secretive,” then they are probably guilty. If they were innocent, they’d be happy to allow Canadian officials to examine the blast furnace and figure out how to make changes so that the noise is reduced or eliminated. How about the employees at the factory? I’d like to hear from them, to see if they notice the humming sound.